The now famous dubia sent to Pope Francis by Cardinal Burke and three of his fellow cardinals is a sincere effort to clear up what has become a crisis in the Church concerning marriage, adultery and the requirements for the worthy reception of the Holy Eucharist. They have every right to ask Pope Francis to make clear that the teaching of the Church has not, and cannot, change. This is the heart of the matter. The Lord’s words are clear and unchangeable. “Every one who divorces his wife and marries another commits adultery.” (Lk 16:18) The Church’s pastoral concern for people in marital difficulties is rooted and grounded in the truth of these words. “The truth will set you free.” (Jn 8:32) Anything else leads into error and sadness. There all the bishops of the world were heard, during preparation; all the Churches of the world, the dioceses, worked. . . .It is interesting to see the rich variety of nuances, typical of the Church. It is unity in diversity. This is synodality. Do not descend from high to low, but listen to the Churches, harmonize them, discern. And so there is a post-Synodal exhortation, which is Amoris Laetitia, which is the result of two Synods, in which all the Church worked, and which the Pope made his own. . . .all that [Amoris Laetitia] contains, in the Synod it was approved by more than two-thirds of the fathers. And this is a guarantee. 52. The synod father [sic] also considered the possibility of giving the divorced and remarried access to the Sacraments of Penance and the Eucharist. Various synod fathers insisted on maintaining the present discipline, because of the constitutive relationship between participation in the Eucharist and communion with the Church as well as her teaching on the indissoluble character of marriage. Others proposed a more individualized approach, permitting access in certain situations and with certain well-defined conditions, primarily in irreversible situations and those involving moral obligations towards children who would have to endure unjust suffering. Access to the sacraments might take place if preceded by a penitential practice, determined by the diocesan bishop. The subject needs to be thoroughly examined, bearing in mind the distinction between an objective sinful situation and extenuating circumstances, given that “imputability and responsibility for an action can be diminished or even nullified by ignorance, inadvertence, duress, fear, habit, inordinate attachments, and other psychological or social factors” (Catechism of the Catholic Church, 1735). 53. Some synod fathers maintained that divorced and remarried persons or those living together can have fruitful recourse to a spiritual communion. Others raised the question as to why, then, they cannot have access to sacramental Communion. As a result, the synod fathers requested that further theological study in the matter with a view to making clear the distinctive features of the two forms and their connection with the theology of marriage. Paragraph 52 received 104 “yes” (“placet”) votes, and 74 “no” (“non placet) votes. Paragraph 53 received 112 “yes” and 64 “no” votes. They did not receive the required two-thirds approval and thus were excluded from the final report according to the rules of the synod. Pope Francis, however, gave instructions that the two paragraphs should be included. They were not published as an addendum with a note that Francis had ordered their publication. The only way a reader would know what really happened is by consulting the paragraph-by-paragraph vote tallies; but even then, there is no note specifying that a two-thirds majority of the voting synod fathers was needed for approval. The votes clearly showed that two-thirds of the 2014 Synod Fathers did not choose to continue discussing the matter of Holy Communion for divorced and remarried Catholics at the Ordinary Synod of 2015. Pope Francis disregarded all that when he decided to include the two paragraphs in the working document for the 2015 synod (Instrumentum Laboris, paragraphs 122-125). He has complete freedom to do this, of course. But their inclusion represents the pope’s own decision about what he wanted discussed in 2015. In the Final Report of the 2015 Ordinary Synod, the third chapter (“Family and Pastoral Accompaniment”) paragraphs 84-86, bear the subtitle “Discernment and Integration.” They touch upon divorced and remarried Catholics, particularly paragraph 86, which speaks of an “internal forum discussion with a priest,” and “fuller participation in the life of the Church.” There is, however, no mention here of giving Holy Communion to divorced and remarried Catholics. The words “sacrament” or “Holy Communion” do not appear anywhere in these paragraphs. A two-thirds majority approved these three paragraphs. Even so, there were many votes against: paragraph 84 was approved by a vote of 187-72; paragraph 85 was approved by a vote of 178-80; paragraph 86 was approved by a vote of 190-64. The Synod Fathers who voted in significant numbers against these three paragraphs were obviously wary of what “fuller participation” meant in light of the earlier efforts to promote sacramental participation by the divorced and remarried. Their apprehensions were not imaginary. 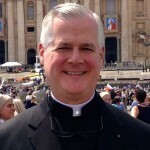 In short, it cannot be demonstrated that two-thirds of the Synod Father at either the 2014 or 2015 synods voted for a change in sacramental discipline and a development of doctrine whereby, in some cases, people living in an objective state of adultery, who intend to continue living in such a state, may now receive Holy Communion.